There’s a new grinder hitting the market this year that’s set to change the game for home coffee drinkers everywhere. 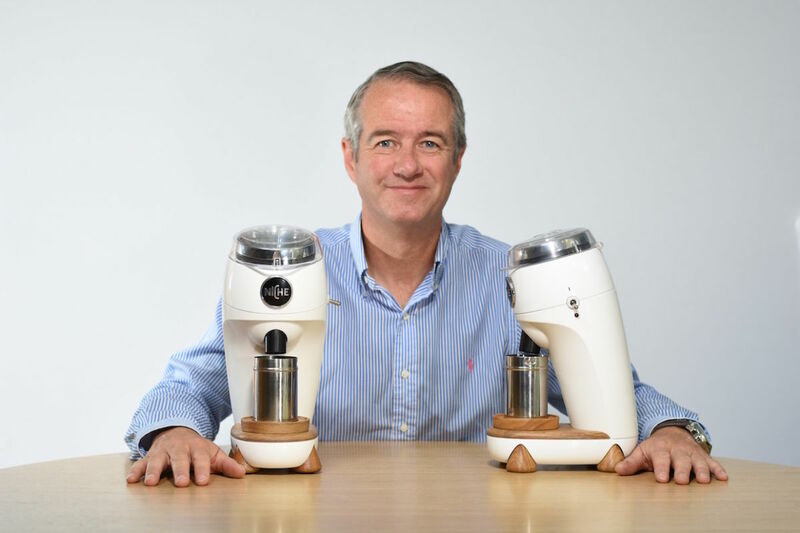 Designed by veteran inventor Martin Nicholson, the ‘Niche Zero Grinder’ boasts an array of professional features that aim to tackle 3 common problems associated with home grinding including waste, noise and grind quality. In addition for the more patriotic of coffee drinkers this is also a 100% homegrown British designed product. As its name suggests the biggest advantage of this grinder is its ability to have zero coffee grounds retained or wasted, which is a current problem with consumer electric grinders when coffee grounds get stuck in the machine when grinding. 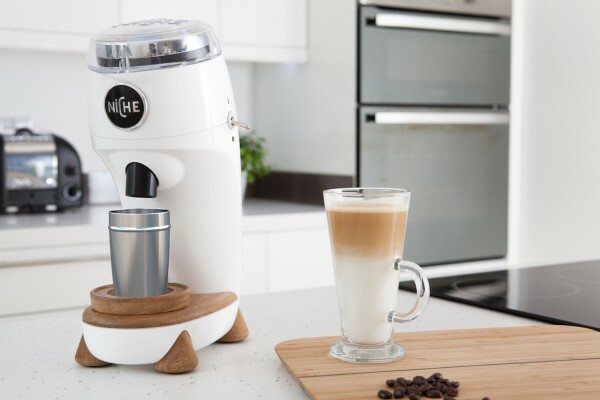 The Niche Zero’s clever design allows all coffee beans to filter through the machine seamlessly without wastage that has 2 key benefits below. 1) You can sleep at night knowing you’re not wasting any coffee. 2) You are having the freshest coffee every time as stale coffee is not retained in the machine that can hinder flavour. The Niche Zero is equipped with 63mm industrial burrs. Burrs are used to grind the coffee and come standard in commercial coffee shop grinders which in this case have been designed with an increased grinding surface area up to twice the area of regular burrs ensuring a consistent and optimized grind. No-one likes to wake up or be irritated by the sound of coffee being ground in the morning and the Niche Zero has been developed with this in mind making a minimal noise at 72 decibels that is claimed to be five times quieter than normal home electric grinders. It achieves this by reducing the speed of its burrs to 330 RPM compared to normal grinders that tend to run over 1000 RPM. To find out more info on its up and coming release check out their website here. This entry was posted in Products and tagged coffee grinder, consumer grinder, Electric grinder, Niche zero grinder.